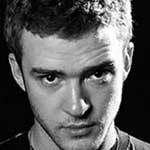 Justin Timberlake, victim of racial assault. « Minneapolis finds students want segregation. According to the Chicago Tribune, nearly 600,000 whites per year are victims of a violent crime perpetrated by a black offender. This entry was posted on Thursday, June 14th, 2007 at 8:00 pm and is filed under Uncategorized. You can follow any responses to this entry through the RSS 2.0 feed. Responses are currently closed, but you can trackback from your own site.